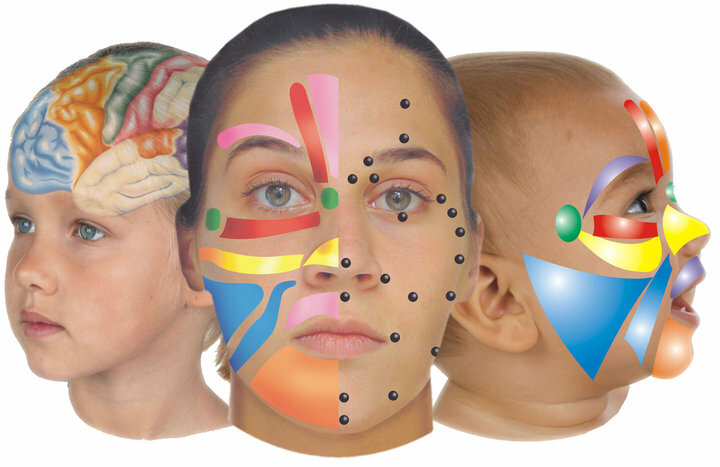 Our FACE has more than 500 points interconnected with the whole body.Facial Reflexology, therapy introduced by Lone Sorensen and that has been practiced in Spain for some years now, allows to treat these points, affecting the whole Central Nervous System. Now we will go more in detail in this therapy that has been recently been put in practice. Lone Sorensen, professor in Reflexology, has been practicing for the last 26 years a variant of reflexology that is applied to the face, there is where its name comes from: Facial Reflexology. Facial Reflexology is a modern technique that has its roots in oriental medicine. It is a method that, mainly, aims to treat the cause of a disease. This means that, instead of treating the symptoms, the physical and emotional unbalances are analyzed and treated, that are normally the cause of diverse ailments. The methods that are being used at the moment have passed through long and exhaustive research and through a combined methodology of oriental medicine, the primitive techniques of the South American Indians plus modern research in neuro anatomy. So, it can be said that Facial Reflexology is a combination of zone therapy and up-to-date Reflexology, through Neurological observations. Zone therapy is a method of zone stimulation of zones that are present in certain parts of the body: Feet, Hand, Face and Torso. Through the stimulation it is possible to send impulses via the C.N.S. to these organs, increase blood circulation, balance the body’s chemistry and treat the emotional state. It is also possible to diagnose and get a picture of the patient’s health as a part of the same methodology. It is a holistic stimulus for the body. As a result of this combination of techniques, an efficient treatment technique is obtained. Just like its developer explains: “ The main thing about Facial Reflexology is the integration of the whole body through the connection between the C.N.S. and the Meridians, canalizing the electrical flow. The works of Lone Sorensen have shown that this therapy has an effect over the totality of the Nervous System and it favors the release of many chemical substances linked to the immune response and to the endogenous mechanisms of pain control. Reflexology is a technique that consists in an exact stimulation of a reflex point situated far away from the affected area through the stimulation of points. After the zonal work it is possible to combine points that have certain particularities sending impulses directly to the brain stem where the information is distributed to the place of the body that it corresponds to. It is, also, a therapy to treat organic, muscle and bones symptoms that regulate the metabolism and that activates the micro circulation, besides helping in getting rid of non wanted emotional symptoms like anguish, mental fatigue, lack of memory, insomnia, etc. It also reconstitutes the facial tissue, and it improves muscular tone. In one word, if we consider our skin like the messenger that connects the outside world with the brain, it should not surprise the great effect that message has on our minds.